Windows 8.1 – Microsoft has announced that it will offer for free the update to its latest version of Windows 8 operating system – Windows 8.1 – later this year. Not charging extra for Windows 8.1 is consistent with the company’s practice of offering “decimal point” updates to operating systems for free. However, when Microsoft Corp announced the update last week, it didn’t say that it would be free. The company also hadn’t disclosed the system’s formal name, leaving open the possibility that it would be a larger update, perhaps to Windows 9. The update had been known simply by its code name, Blue. Windows 8 has not been able to strike a hit with its users and has glitches that were to be addressed with the inclusion of the update ‘Blue’. The announcement of ‘Blue’ was made after customers complained of complexity in the user interface and found it difficult to operate at the desktop platform. 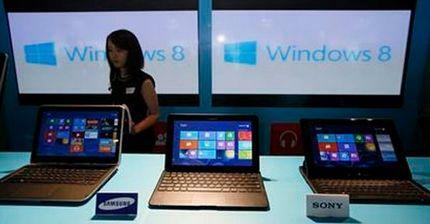 Microsoft now plans to launch a trial version of the Windows 8.1 update for download in the coming month. Tami Reller, the marketing and financial chief for Microsoft’s Windows business, said the company wants to assure customers that they can buy Windows 8 now and still get the benefits of Windows 8.1 later. She offered few details about Windows 8.1, but reiterated that it will be better suited for smaller, less expensive tablets with 7- and 8-inch display screens. Reller said the company will make it easy for consumers to get the update from the start screen. Reller said the company also hopes some devices will have Windows 8.1 already installed by the time the update is ready. The company didn’t offer a specific date, but the update is expected in time for the holiday season. Microsoft overhauled its operating system with the release of Windows 8 in October 2012. The company designed the operating system to work with touch-screen controls popular on mobile devices, while also allowing people to use mouse and keyboard commands. The changes are meant to address the growing popularity of smartphones and tablet devices, which are siphoning sales from desktops and laptops – traditional strongholds for Microsoft. Windows 8, however, left users confused. It was devoid of the standard ‘start’ button that gave people quick access to programs and settings. To change settings, people must pull out a drawer of icons from the side, using a different manoeuver depending on whether the control is through touch or a mouse. Windows 8 offers a new start screen filled with tiles that link to frequently used programs, but some programs work only in a desktop mode that resemble older versions of Windows – but without the start button. As the latest version was designed for tablets and smartphones, the desktop users had a hard time dealing with this user interface. The company’s new software device may help it compete against tablet or smartphone manufacturers like Apple, Amazon and Samsung, but it has surely led to a decline in sales in the desktop market. According to a report by research firm International Data Corp (IDC), Windows 8 contributed to a 14 per cent decline in worldwide PC sales during the first three months of the year – the biggest year-over-year drop ever. Microsoft, however, shared recently that it has sold more than 100 million Windows 8 licenses so far. Most of those are to PC makers such as Hewlett-Packard Co and Dell Inc to ship with new machines sold to individuals and businesses. Share the post "Microsoft Windows 8.1 update to be available for free"